"If I was frozen inside a moment/If I could capture time inside a capsule/Then I could try to channel it through Cadillacs and Buicks/And that's when you hit the roof because you can't sit through it/Just lose yourself in this music, this moment." 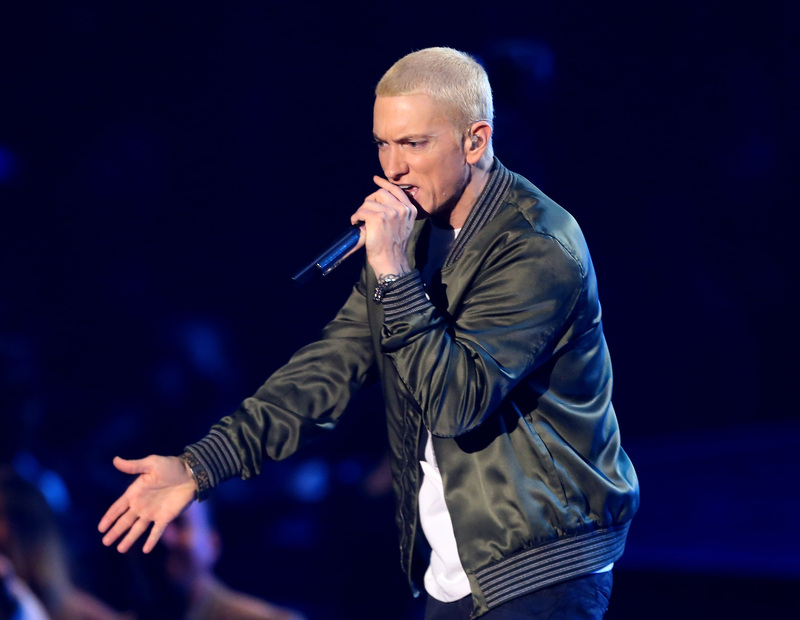 Even subtle word changes make an impact — in the official version, Eminem says "just lose yourself in the music," whereas he says "this music" in the demo. The start of the first verse in the 2002 song from 8 Mile starts off with, "Look, if you had one shot, or one opportunity/To seize everything you ever wanted. one moment/Would you capture it or just let it slip?" The message remains the same about embracing an opportunity and capturing time, but the lyrics really change everything. You can hear the full version on Eminem's compilation album Shady XV, which his stores on Nov. 24.